The WWI Centenary is now underway and over the next four years Britain’s museums and art galleries will be striving to make their contributions known. 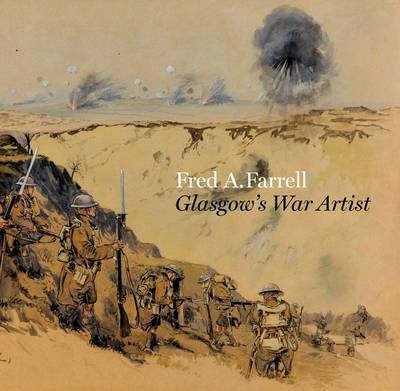 ‘Fred A. Farrell – Glasgow’s War Artist’ marks Glasgow’s first contribution to the centenary. The aim of the exhibition and its accompanying catalogue is to rediscover and reconsider one of the country’s forgotten artists and the inspiring and challenging artworks he produced during 1917/18 when he was commissioned by the Corporation of Glasgow to record the city’s contribution to the war effort. It is no secret that Farrell is not Glasgow’s most famous or celebrated WWI war artist. That title belongs of course to Muirhead Bone who was employed by the British government as an Official War Artist in 1916. The majority of his war art is therefore held by the Imperial War Museum and so Bone has subsequently become another one of London’s adopted sons. Therefore Glasgow Museums has cast Farrell as its representative for the WWI centenary, but this does not mean that he should be considered as a poor substitute for Bone. Farrell has the advantage over Bone and all others as being the only artist in Britain during WWI to be commissioned by a city rather than the government, the Imperial War Museum or the armed forces. This new exhibition marks the first time Farrell’s works have been exhibited since 1920, and grants its visitors with a rare opportunity to see this truly unique body of work. Farrell intended his work to be permanently exhibited at the illustrious Kelvingrove Art Gallery and Museum but this request was never fulfilled. Instead his works can temporarily be found tucked away on the top floor of the People’s Palace; Glasgow’s social history museum. The museum is responsible for telling the story of Glasgow, its people and its impact on the world and a fitting location therefore for Farrell’s exhibition. This is after all not intended to be a minor story of one man and his artwork but rather what he did for his city and what his city did for the war effort. The exhibition’s accompanying catalogue which is composed of three short essays, incorporates new research undertaken into the existing (although unfortunately limited) archives surrounding Farrell and his commission. 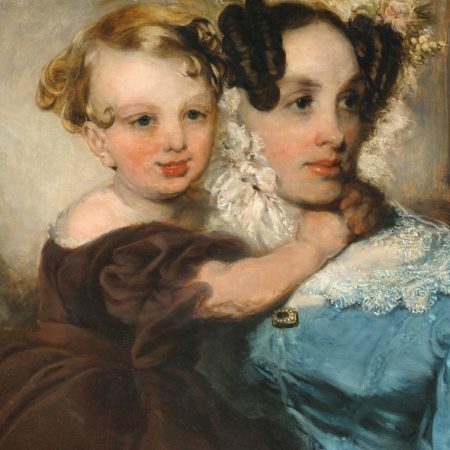 The first essay “Fred A. Farrell: ‘A fitting official and pictorial history of the war’” by Joanna Meacock, the curator of British Art at Glasgow Museums, outlines Farrell’s background, his short military career and the circumstances which led to his commission. The archival material used is generously included in the catalogue’s appendix and provides a valuable insight which is not offered by the exhibition alone. The exhibition space itself is artfully understated. The small scale artworks, which are all drawings or sketches, are mounted in simple wooden frames. There is no grandeur, pomp or ceremony to be found in these works. On first entering the space the viewer is confronted with factory scenes populated with ammunition and anonymous workers. The lively sketchiness of these works reflects the immediacy and on-the-spot method in which they were executed. Farrell experimented with scale by using various dynamic perspectives and when combined with his skilful and economic use of colour with yellow, orange and blue highlights, the movement, noise and energy of these factories is successfully achieved. These techniques are superbly demonstrated throughout the exhibition but mastered in the National Projectile Factory, Cardonald drawings. The chapter “The Home Front: ‘While it was not ours to fight – we worked’” by Fiona Hayes, the curator of Social History at Glasgow Museums supplements the home front scenes. It focusses on the living and working conditions of the figures in Farrell’s factories whilst providing a background into the scale and importance of Glasgow’s production of arms and equipment during WWI. Farrell’s approach to the Western Front was admittedly less impressive than the home front scenes. The liveliness and immediacy has been replaced with static and posed landscapes. Farrell was not always present at the events he illustrated and so relied on witness accounts. This distance between Farrell and the actual event is emphasised through the survival of his working notes which are included on many of his drawings. These provide the viewer with an exclusive understanding into Farrell’s working methods whilst emphasising his passion for detail. The notes often indicate colours or key features to include, such as where a formation would have been or the direction the action would be travelling in. “Fred A. Farrell: Truthful representations of the character and aspect of modern war’” is the final chapter of the catalogue and examines the Western Front scenes. Written by Alan Greenlees, a Collections Access Assistant for Glasgow Museums, it attempts to connect Farrell’s work with key locations on the Western Front, which are helpfully shown on a map featured at the beginning of the catalogue. The catalogue illustrates all 50 artworks in the collection, which are not all displayed in the exhibition itself. It is puzzling as to why some did not make the cut. Space was available, and in one case it appeared to be misused. In one corner makeshift camouflage netting was draped above two supersized, photographic reproductions of a tank and a trench scene. These photographic reproductions, which have no immediate connection to Farrell’s work and seem little more than stock images taken in order to promote Glasgow’s Museums other resources, completely undermined the scale and subtly of Farrell’s drawings. Their inclusion in the exhibition was baffling, but not disastrous. Other highlights of the exhibition which demonstrate the scope of Farrell’s vision include the atmospheric Machine Gun in House at Maing and the unsettling Hung up! Farrell’s war art includes many portraits of soldiers and factory workers; some of which are named in the pictures’ titles whilst most remain anonymous. Whether we are observing a lieutenant leading his men across a threatening battlefield or female munition workers surrounded by the mountains of explosives they have produced, the attitude remains the same. There is little sorrow or despair in these scenes. There is only hope and defiance, confidence and control, strength and unity. Farrell’s illustrations are much more than the individual portraits. They are the portrait of an entire city and the contributions and sacrifices it made during those fateful four years.